Thank you, World Haiku Review, for publishing my work in the latest edition. This review originally ran in May 2005 in the Albany Times Union. Among life’s great chores is the sorting through of old papers, books, records and magazines long ago left in the attic. Few events combine such tedium with unexpected moments of rich nostalgia, in which a single image can rise from junk and make the past profoundly present and vital. This is the magic of the intriguing but ultimately disappointing new novel by Umberto Eco, “The Mysterious Flame of Queen Loana” (Harcourt; 469 pages; $27; translated from the Italian by Geoffrey Brock). In Milan, Italy, in late April 1991 (soon after the end of the Gulf war) our narrator has lost his memory. What happened isn’t clear, but all he can remember are things he’s read. The first few pages are filled with references to writers such as T.S. Eliot, Agatha Christie and Arthur Conan Doyle – and those are just the easy ones to spot for someone familiar with English literature. At once, Eco reveals his smarts and sly humor. Soon, we learn that the narrator is in his 60s, is an antiquarian book dealer and goes by the nickname Yambo. Yambo is mischievous. Having forgotten his personal life, including his relationship with his wife, he calls himself a 60-year-old virgin, even though he is a father and grandfather. His character raises the expectation of a wonderful tale of memory and identity. Unfortunately, moments of wonder are all too rare. Yambo returns to his family’s estate in the countryside in an attempt to regain his identity by going through the stuff in the attic. What he describes we see in reprinted lyrics and illustrations from posters, newspapers, comic books and magazines from the 1930s and ’40s. Yambo even finds an essay he wrote that praises fascism, but he doesn’t know if he was a true believer or if he had to play it safe at school. His predicament seems rich with possibility, as if Eco is suggesting that a new, multinational war (the Gulf war) is reminding Yambo’s generation how much of the past they had to forget in order to survive the horrors of war and fascism. Suddenly, all the illustrations and references are indulgent. They disrupt the novel. The particulars of Yambo’s life don’t point to any general truth of the human condition, they point to Eco. As the novel progresses, this conflation of narrator and author makes one think Eco is no longer exhibiting his pleasure of language, culture and life through writing; instead, he is writing lists about things that brought him pleasure. In the end, the “mysterious flame” that rises in Yambo’s (or is it Eco’s?) heart from seeing the pop culture of his youth has, unfortunately, left this reader feeling cold. Perhaps it would have been more enjoyable to sort through my old books and papers. This review originally appeared in the March 2002 edition of Multicultural Review. Thompson, Holly. Ash. Berkeley, Calif.: Stone Bridge Press, 2001. 292 pp. ISBN 1-880656-65-5, $16.95. Caitlin Ober, though, is unlike other foreigners. She is an American who returns to Japan 15 years after a traumatizing childhood experience in Kyoto, where her family lived while her father, a scholar, did research. She now teaches English in Kagoshima, but her real mission is to overcome the guilt, sadness and silence that surrounds events from when she was 8. This drama leads to some of the most affecting passages in the novel, especially when Caitlin is reunited in Kyoto with her “number-two family,” the family of her best friend from childhood. The novel is less effective, though, when the narrator, like Caitlin, withholds for many pages a clear explanation of what happened in the past. Nonetheless, Thompson’s straightforward narrative allows her to map out many fascinating aspects of Japanese life, such as the problems faced by a 14-year-old girl with a Japanese mother and an American father. The teen is bullied at schools and must choose between taking Japanese or American citizenship when she turns 20. Though the novel, at times, veers toward melodrama, and more could be said about the biracial’s teens problems, instead of having her resolution subsumed by Caitlin’s drama, “Ash” successfully shows a Japan through Western eyes that isn’t the exotic locale of samurai and geisha but a place where an American can have powerful, emotional connections. I love this book. Get it. Read it. Now. 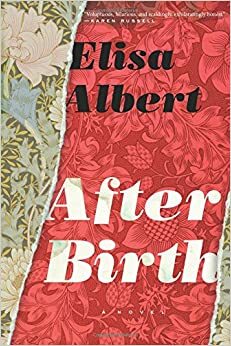 In that sentence, Albert achieves the creation of a distinctive character in her narrator: a sharp sense of humor, somewhat confessional, somewhat striving for clarity, while also somewhat muddled. Ari, the narrator, may not always be a sympathetic character (one of the first things she does is call the upstate city she lives – a fictional town called Utrecht, but an easily readable blend of Albany, Troy, Schenectady — a “shitbox”), but her language is so seductive that it can charm the reader, even in her most negative moments. After all, Ari seems to be suffering from a kind of post-partum depression, a severe disorientation in which she feels betrayed by a world that didn’t prepare her for life after having a child, she’s lost interest in completing her doctorate in women’s studies, she feels isolated in the aforementioned “shitbox” town, and all of it has been exacerbated by having undergone a c-section operation. This was a fun listen: “Prophecies, Libels and Dreams” by Ysabeau S. Wilce, which I got in a giveaway from Small Beer Press (Thank you, Small Beer Press!). I didn’t know what to expect, and so this was my introduction to the fictional world of Califa that Wilce has written about in previous books, where there’s magic, magic boots, thieves, soldiers, deceptions, betrayals, and arranged marriages. He died a hero’s death, Lieutenant Rucker did, trying to save, not another comrade, but rather the hog ranch’s entire supply of beer. The story is short and tragic: the freight train dropped fifteen cases of beer at the hog ranch, before proceeding on to Rancho Kuchamonga; an inexperienced drover off-loaded the beer in the arroyo below the hog ranch; when the storm came up, Pow organized his fellow whist players into a bottle brigade and supervised the shifting of fourteen cases to higher ground; the water was already foaming when Pow went back for the last case—refusing to allow the others to join him in harm’s way; Pow heroically managed to shove that case up the bank, just as a wall of water twenty feet high came roaring down the ravine. This minitale is a great example of the kind of tall tales that dominate the seven stories in this collection. And these stories are offset by short “corrections” in the guise of an academic critique, often decrying the inexactitude of the previous tale. It’s a nice movement to add this layer to deepen a sense of place and time. An unfortunate aspect of this audiobook is that the first story, which may be the whimsical, elicits from the reader some of the most forced interpreations that make him sound actorly in a too-forced storybook way. The audiobook does get better though.